Taking the plunge and choosing a bangs haircut is one of the scariest beauty leaps we can take. You don’t want to chop off your locks just to be left with a hairstyle that you don’t like and bangs aren’t exactly easy to grow out. 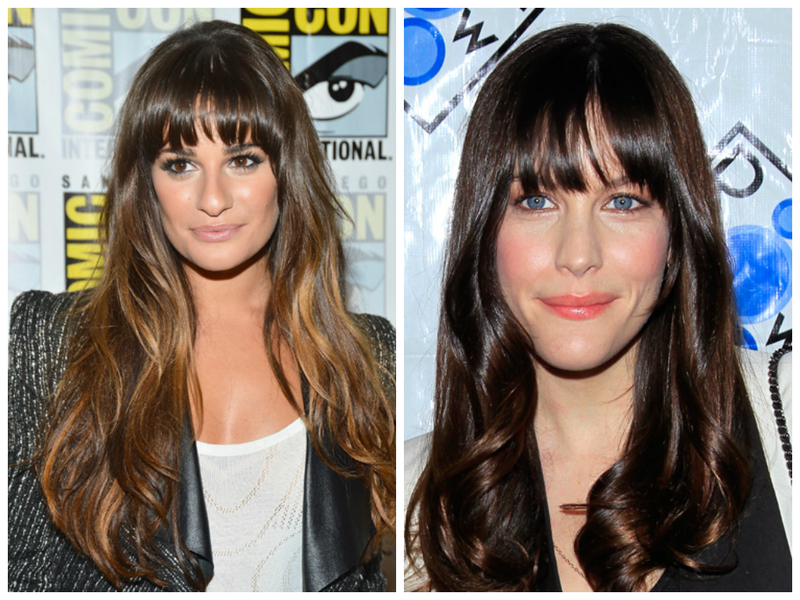 The key to getting bangs is finding bangs that work best for your oval face shape, which is most of them! Yes, women with the ideal oval face shape can pull off just about anything and you can actually find a fringe that accentuates your facial features to perfection. Since women with oval faces can get away with every style of bang, it’s clever to consider your hair texture when you’re choosing the right bang. If you have thick hair then try a full blunt bang, but if your hair is finer then a wispy and short side-swept bang that frames your face would be better. When choosing bangs for an oval face you should think about your hair texture. We all love Zooey Deschanel’s blunt and bold bangs unfortunately blunt bangs are certainly not for every face shape or every look but women with oval face shapes can pull off the blunt bang look with ease. If you’ve been considering the blunt-bang there is no need to hesitate, it will look flawless on your oval face shape. Oval faces look tremendously chic with blunt bangs. Basically a wispy bang is when you have slight pieces of bang rather than a severe thick blunt bang. This is a great way to spice up a haircut but still avoiding the commitment of a full row of bangs. Wispy bangs look great on every face shape, with every hair texture, and with every haircut so you cannot go wrong with a great wispy bang for your oval face shape. Wispy bangs are perfect for everyone. If you have curly or wavy hair then blunt or short side swept bangs could seem like too much maintenance and we don’t blame you for feeling that way. If you don’t mind some hair in your eyes then try a side-swept bang that just grazes your eyes for a more controllable bang. If you have wavy hair then opt for a longer side-swept bang. These are a middle point between wispy and blunt bangs. They curve on the sides which perfectly frames the eyes on a round face. These bangs are relatively low maintenance if you have the sleek hair for them – simply blow dry and add a small amount of smoothing serum. Opt for a curve-bang for a less severe blunt bang hairstyle.